Güzelyurt is almost the last major town on North Cyprus’s north west coast – although Lefke sits slightly further west and inland. 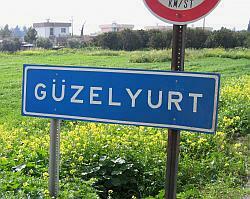 You will also find Güzelyurt referred to as Morphou, which is the Greek name for the town. The translation of Güzelyurt depends on the sources you read and the people you speak to, but it basically means ‘beautiful native country’ or ‘fatherland’ – while neither is a perfect literal translation, both meanings get right to heart of the matter and that is that Güzelyurt and the surrounding villages in North West Cyprus are stunningly beautiful, rich and fertile. Güzelyurt is said to have been inhabited since Bronze Age times, and it was also a major centre for copper mining during its history. 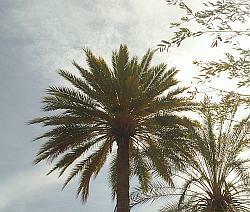 Today, it is more commonly associated with being the citrus growing centre of North Cyprus. 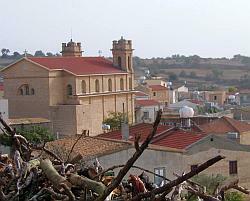 Under the British rule the town was also a major part of the transportation network, it was connected by rail to Lefkoşa and Famagusta mainly for transporting of copper. Çamlibel (pronounced Chamlibell) is located inland on the western side of North Cyprus, around 15 miles from the harbour town of Kyrenia. You can reach it by driving west along the coastal road, past the town of Karşıyaka carrying along this road when it turns inland and up through high slopes and past the town and reservoir of Geçitköy. A traditional Turkish Cypriot village it has very little in the way of an expat community being so off the beaten tourist trail, but it is home to a large contingent of Turkish army personnel. 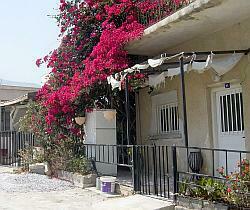 It’s also not far from Tepebaşı another traditional Cypriot village which hosts the popular Tulip Festival each year.